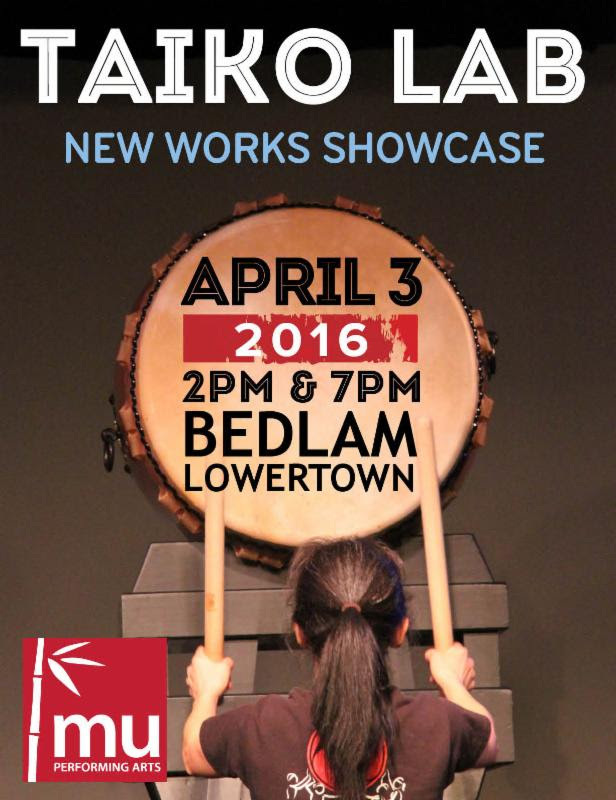 Taiko Lab is your opportunity to experience original compositions, experimental melodies, and brand new rhythms from the innovative composers/ensemble members of Mu Daiko! Explore the possibilities of taiko through fue melodies, Japanese folk dance, tai-chi movement and heart-pounding rhythms. Seating is very limited, so buy your tickets in advance for this exciting showcase!